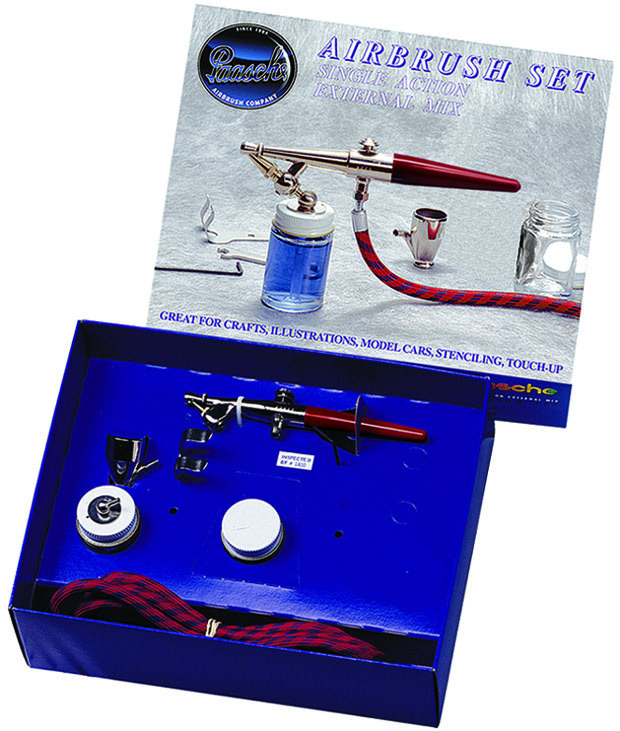 The F-SET is perfect for the beginner who wants an airbrush that is smaller and lighter than the model H airbrush, but operates in the same manner. 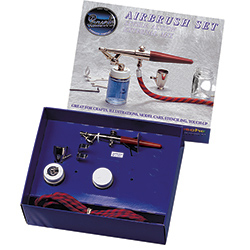 The set includes everything needed to get started in airbrushing except the air compressor and paints. *Recommended air pressure 0.5 to 0.75 cfm. @ 15 to 30 psi. 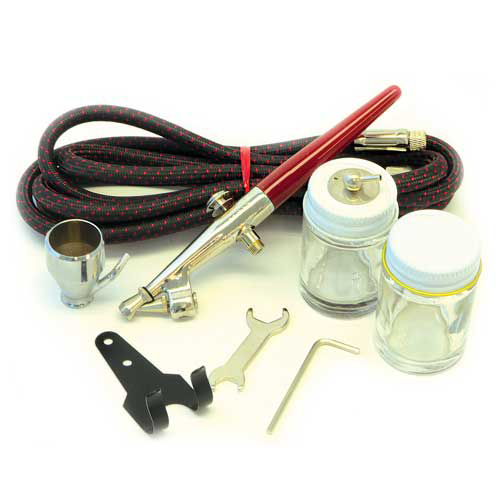 Clean, dry air is essential for best results.